An affiliated chapter of the American Kitefliers Association. We're a pretty loosely organized bunch and we try to keep it that way. We get together at least twice a month for some flyin' and socializin' . Unfortunately, we're looking for a new flying site in the Charlotte area. Frank Liske Park, where we have flown as a club since 1999, and some of us have been flying since 1993, has decided that they really needed a disc golf course and a row of trees to encompass the former flying field. But, if you want to fly at Frank Liske Park, the area in front of the tennis courts is still open. For a map to the park, here's a link = Frank Liske Park. As an alternative, we may be flying at Mint Hill Park on Fairview Rd. . For a local map to Mint Hill Park, click here. 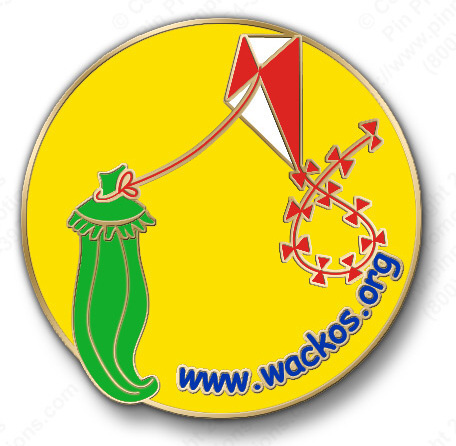 If you have any ideas for a new flying field, write to okra-eaters at wackos dot org and make a suggestion. C'mon out and fly with the WACKOS!! "I still love you, Uncle Scooby, even if you are a wacko..."
Click here for the 2016 WACKOS calendar. 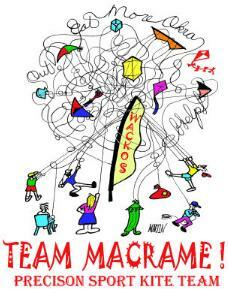 Click there >> WACKOS Past << to visit past years of WACKOS activities. Here's a new feature and a place you absolutely, positively have to visit. Just click on the name below and your eyes will be regaled with stuff you'll find you really, really need. And probably some stuff you really, really don't. But go visit anyway. Then you can tell your friends, you visited . Who are we? Click here for a list of members, e-mail addresses and web pages. There are also links to members photo pages and web sites. Click here to visit some of our flying companions and clubs. American Kitefliers Association Affiliated Chapter. Click the kite to visit the American Kitefliers Association. You can join the AKA while there - just click "Join Us". Please write in the WACKOS in the 'Referred to' space and we might even give you some free WACKOS stuff, like that leftover jar of pickled okra from Wrightsville Beach. Click on the dancing okras to visit a page full of stuff about okra. There's everything from real places to check the current market prices, to crafts using okra to some really off the wall places that also have a thing about okra. Enjoy it! For more information about the 'Society', e-mail us at okra-eaters at wackos dot org. Thanks for dropping by and come back often.